Does those funny looking orange and yellow thing serve any function? Those are called "tubercles" and I suppose their chief function is to frighten birds. On most saturniids, any protusions or spines are harmless and stingless, but the birds and other predators may not know that. Case was really not far off, when he mentioned the warning/hazard lights. They look life very different. Thank you Combiness. I thought it's a cat! LOL. 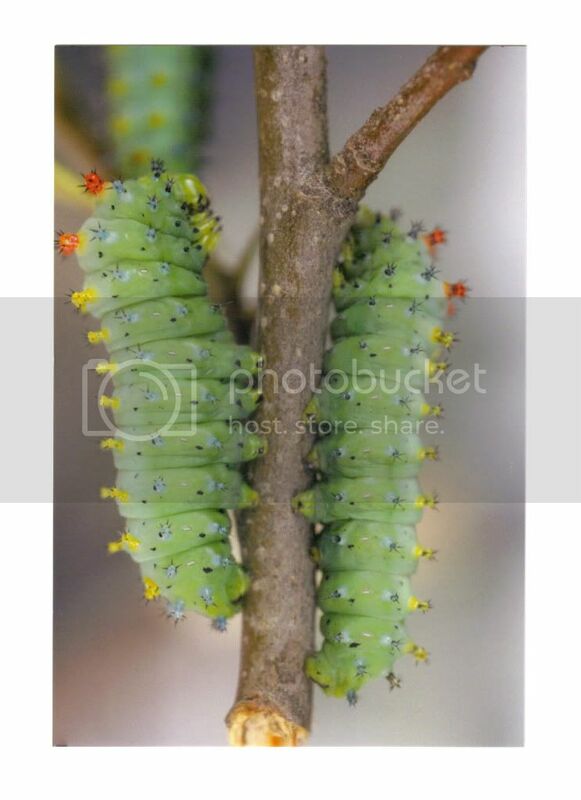 I remembered studying caterpillars when I was in college, they are amazing creatures to study. It the best example of team work.